- Earth, Wind and Fire, "September"
Summer is loosening her grip in my neck of the woods. It's still quite hot during the day, but the nights are cooler and mornings are darker. I'm lighting candles in the kitchen again. The sun sets earlier every day, which startles me every year. 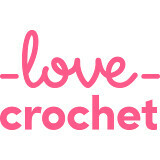 Suddenly, I'm crocheting by electric light again, while I watch Create TV in the evenings. I'm watching the mountains turn palest peach, then salmon, then rose and finally deep pink - the watermelon shade which gives the mountains their name in Spanish: Sandia. The dark green of the trees on the mountain slowly deepens to black. The night draws in quickly, fiery streaks giving way to stars. I love where I live and I never love it so much as I do in fall. Soon, the leaves will begin to change, starting with the aspens at higher altitude. From a distance, the mountain will take on an ochre tone, but closer up, the aspens will be dazzling bright gold. Other trees will turn brown or yellow too. We never have the stunning reds and oranges that are seen in other parts of the country, and I often miss that, being from the northeast. It's different here, but good too. The chile roasting will continue this month; September is really when it gets into full swing. The state fair will take place, though I don't know whether we will go. It can be a bit of a mob-scene. But interesting things are happening around here, it's that kind of season. On the home front, things continue in their busy way now that school has been back in session for several weeks. Some have asked about our school situation and I'm happy to explain; the Bear and I are part-time homeschoolers. The LB attends a public alternative school which combines 50% traditional classroom time with 50% homeschool. He attends school about 16 hours per week and we do an equal amount of teaching him at home. This is a very well-regarded program and we feel privileged to have the opportunity to educate our kids this way. We feel that we have the best of both worlds. The GB will go to the same school next year when she is ready for kindergarten. We do our home learning after lunch, then we listen to our audiobook and play in the backyard. It's finally cool enough in the afternoons to really enjoy that again. During June, July and much of August, it was too hot out there. Or it was raining, due to the monsoon weather pattern in July and August. The monsoon is mostly over now. We got a fair amount of rain this summer, taking us from "extreme" drought conditions to merely a drought advisory. Evidently, the city used one billion gallons less water than last year, so good news all around. The backyard plants perked up a lot during the monsoon pattern but they're pretty well spent now. The apple tree is looking worse all the time and the apple harvest is proving to be pitiful. I have a feeling the tree isn't long for this world. Other plants are getting into fall mode now; pyracantha berries are getting their characteristic dark orange color and the chrysanthemums have buds now. The roses of Sharon continue churning out beautiful fuschia blooms but the hibiscuses are finally done, after two full months of prolific blooming. The sunflowers and other plants we grew from seed this spring are barely hanging on but they had a good run and we learned a lot as we watched their progress. I've finished the baby ripple I was working on and I'll share it soon, after the baby is born and I have given the blanket to her mother. I've started teaching myself to make Lucy's Granny Bunting Triangles, to decorate something new which I will also share soon. 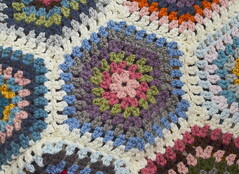 I didn't make any for Yarndale (sorry), but I've been enjoying working with a new pattern. They were fiddly at first but quick and easy once I got the hang of it. Soon, I'll be starting a new blanket; the LB has been asking for one for more than a year. He really wants a striped one, he says. I'm debating between Granny Stripe and Vintage Vertical Stripe, but am leaning toward the Granny. He doesn't have a preference. If you were a boy of eight (as he will soon be), which would you prefer? Suggestions are welcome. September is bittersweet for me. It's actually my favorite month and always has been, even before I had both of my children within its thirty clement days. My favorite gemstone, sapphire, is the birthstone of September and I chose sapphires for my engagement and wedding rings long before I knew they'd both be born in September. It made my rings even more special and significant. Bringing my babies into the world was very hard; some of the worst things that have ever happened to me happened in September. But two of the very best ones did too. Such a lovely post Jennifer, it amazes me how much further along your plants are than ours, I guess that you are quite a bit further south! We are starting to get berries and autumn flowers coming out - sedums are just starting. Can't wait to see your new and completed projects when you are ready to share. 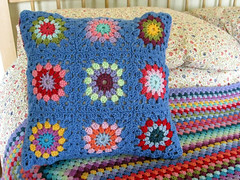 I would go for the granny stripe for the new blanket - but you know that I am biased towards granny at the moment!! Hope that you are enjoying back to school and that it is a great school year. Most of all hope that it is a vintage and wonderful September for you this year. Fall is my favourite season too, and I am so happy to now be living in a place where the fall colours will be out in force. My vote is for the Granny Stripe blanket for your son. In guy colours of course! What a lovely post Jennifer. I too enjoy September. This is my birth month, and of course that just means I'm getting older.You always take such wonderful photos. I like how you all do your homeschooling along with sending them off to school. We are still looking into a few options for when its time for our little one. :) Great post Jennifer. Happy first day of September to you!! I'm a September baby too, though I can't say I look forward to Autumn, I'm definitely a summer girl so I'm clinging on for a little while longer. What wonderful post and so beautifully written, you live in a lovely corner of the world, I'd love to live near the mountains. Jennifer, I love this post today, so much from your heart, that is the way I like to read blogs, from the heart. September used to be so much fun for me growing up in Michigan, but now in Florida it is still so hot and humid, it is October I look forward to. One of my sons was born on Halloween, my favorite holiday, so just like YOu my favorite month has special meaning. Your two little ones are blessed to have you as a Mom, they may not know that yet but they will someday. Your writing today has realy moved me. Although you live thousands of miles away from me, I can read what you write about the landscape of New Mexico and see it in my minds eye. I love that. I also loved that you shared some photographs of your little bears. What gorgeous children. I love September. The return to normality. The changing of the seasons. The nights drawing in. Possibly boots instead of flip flops. It's all good. September looks beautiful in your photos! September is bittersweet for me too, but only because I hate the thought of winter coming my way. Such a lovely post! You are a wonderful writer, Jennifer. I love the photos of your little bears... they are adorable! And I love the photos of where you live. New Mexico looks like such a beautiful place, and I hope to visit some day. I am lighting candles in my kitchen again, too. I am simply loving this time of year. I don't think I have ever been as excited for autumn to arrive as I am this year. What a beautiful post Jennifer, you described everything so well! Over here of course everything is opposite and we are beginning to feel like spring with earlier morning light etc.. Your children are so gorgeous and I love GB's cute little nose! What a wonderful way to educate your children - sounds like the perfect programme. I'm wishing you the very best for the school year! I love the September verse, very special! Beautiful post Jennifer, I love your description of the mountains around you. Hi Jennifer,A lovely post!! !I love your writing style!! !Have a blessed September and just have fun every day!!! Sounds like you live in a beautiful part of the would, September is the start of the birthday season in our family. Have a good week. Your autumn mood matches perfectly with mine Jennifer! The only inconvenient is that here where I live the weather has loose its variances and has ended to two seasons, instead of four! That's no good and I miss the changes of the weather. I agree , autumn is such a lovely period, with its own fragrance. Kisses to all of you and a good start into the new season! PS I would go for granny stripe! This is a very beautifully written post. I got a great sense of who you are and where you live from your words. Thank you for sharing these fantastic photos too. Your posts are an unhurried, winding path though life, with frequent stops for appreciating and reflecting. I love where you live too! The view of the mountains just seems so protecting and comforting to me. Seems like I always say this, but your children are beautiful....although, of course, you already know that! Loved this post on September. I can definitely feel and smell the difference in the air even though the weather is still warm here in northern IL. September is a very bittersweet month for me, too. Happy on one hand that our wedding anniversary is the 15th (29 years! ), but our firstborn son passed away on the 25th four years ago. He was 21. Your children are gorgeous! Great pictures as always! You always capture the beauty in everything.